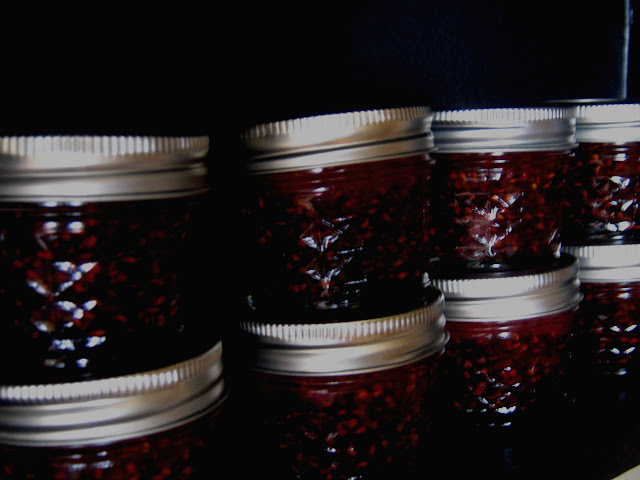 and making jam.I made raspberry, so I'll make marmalade this week. Crush berries and cook in their own juice on low heat for 30 minutes. remove from heat, then jar and seal. Makes approximately 8 cups.